Maintenance of company’s plants and machinery. Installation of equipment and ensuring that they are maintained at minimal cost to enhance company’s objective. To ensure always that the performance and quality outputs of equipment conform to production requirements. Liaise with Supervisor to effectively plan out call, routine, corrective and planned maintenance of factory plants and machinery. 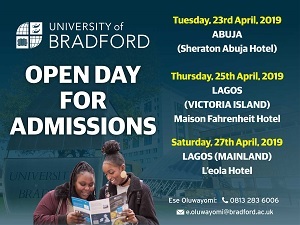 BSc, HND, Higher Degrees in any of the following areas; Electrical, Mechanical, Production, Industrial, Agricultural Engineering. Registration with COREN/NSE is an advantage. Initiate sound ideas on the job. Being resourceful in applying Managerial functions of Planning, Coordinating, Controlling, Staffing, and Directing in achieving the organizational goals. Maintain a sound conducive working environment that will positively affect the organizational goal(s).